This week has seen some lovely crisp frosty mornings which is always a beautiful sight and is a real pleasure to walk around the farm. 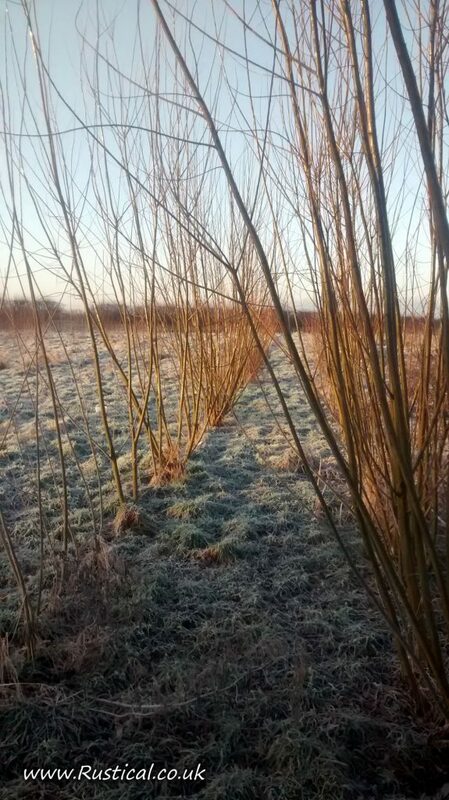 Our willow trials continue with a mix of biomass hybrids and traditional basket making varieties planted. The photo above is of some one year old willow whips which are ideal for living willow sculptures or making new plants. 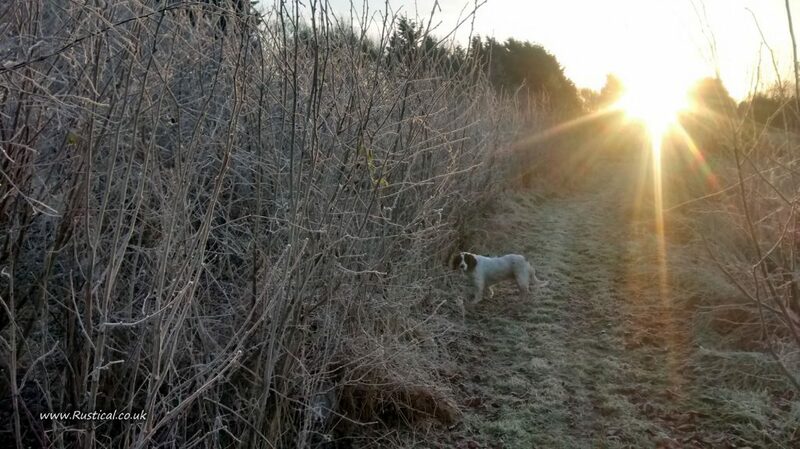 Selected pieces will be harvested from the Hazel coppice over the winter months, mainly for sticks to make walking stick and beating stick shanks but also to make wood chunks for food smoking which gives the wood smoke a slightly nutty flavour. 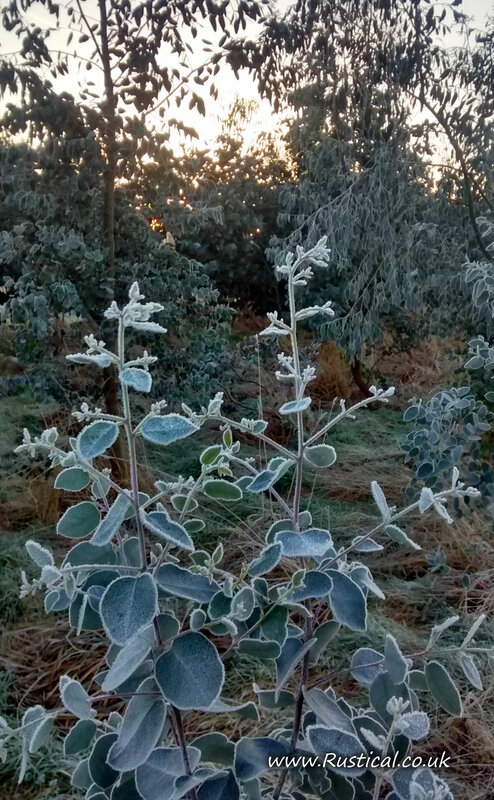 We also grow some Eucalyptus, mainly to harvest for the floristry trade and making essential oils but we are also trailing some hardy snow gum varieties for firewood production. To date the results have been very impressive. 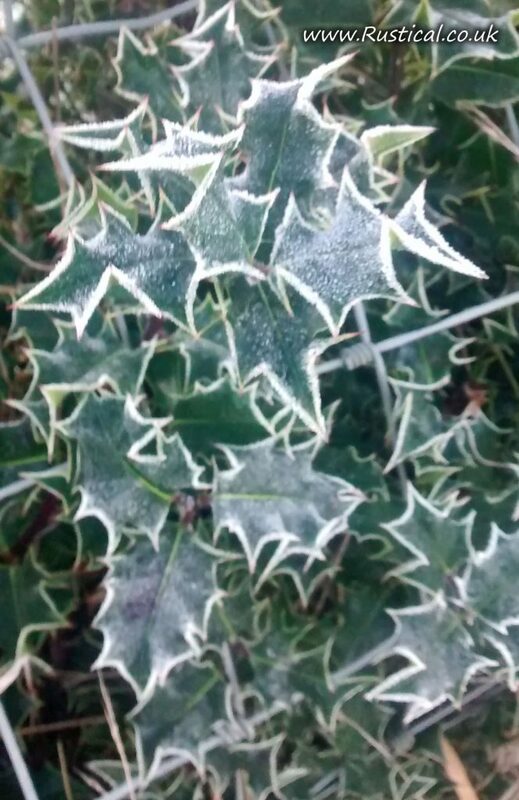 Our hedges of Holly have been pruned hard in recent weeks for wreath making but the frost makes them quite a picture.